Tawfik Okasha, a controversial Egyptian television show host and independent parliamentarian, has apologized for recent statements he made, adding that it was all part of a “plan” to “impersonate the enemy”. Despite being banned from appearing on television, Okasha, who secured 90,000 votes in his electoral constituency, apologized on live television, stating that his recent actions were all just a “test” to see how the State would respond. Appearing on his television channel Al-Faraeen, Okasha said that his actions were aimed at preventing a catastrophe in Egypt. In the past week, Okasha, known for his outspoken comments and criticism of the Muslim Brotherhood and the January 25 Revolution, said he would resign from parliament and seek political asylum in Germany because of “harassment” and “intimidation” by Egypt’s security apparatuses. The parliamentarian claimed that Egypt’s security apparatuses had been “working against the country’s interests” and had been attempting to “activate one-party rule” disguised as a democracy. Okasha had said that security forces prevented him from forming a parliamentary bloc with other independent parliamentarians. Addressing his recent statements, particularly about seeking asylum in Germany, Okasha said that the idea is “absurd” and that it was all just part of his plan to test the state. Okasha also said that he would resign from parliament or leave the country. 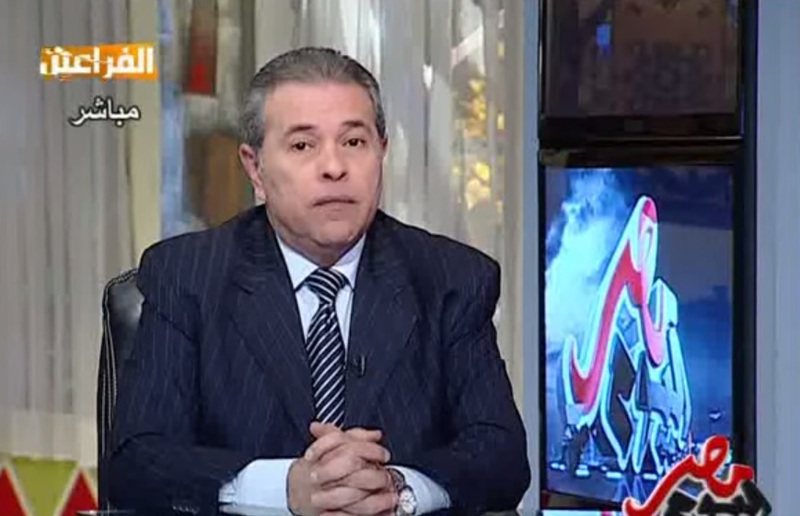 However, Okasha added that the media should have researched his background and questioned his statements. “Again, I apologize to everyone that I offended. But, this apology does not mean that there were no mistakes. No, there were mistakes and I implore you to go back to them and confront them,” said Okasha. “You must read and revise studies about me in foreign universities…like Harvard…before talking about me,” added Okasha on television. Okasha’s recent comments had come as a surprise for many as he is a staunch government supporter.